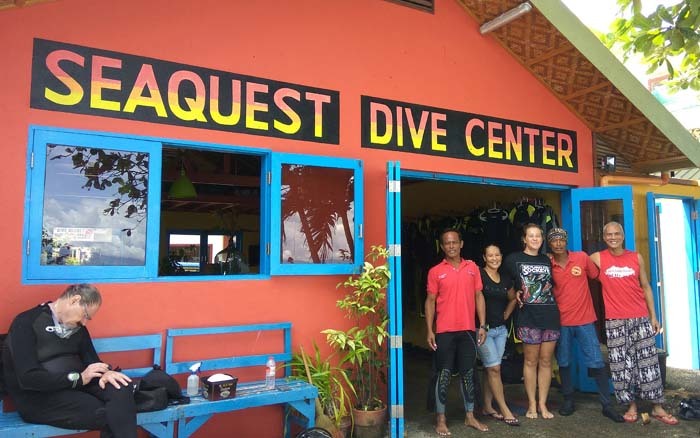 SeaQuest Dive Center has been around since 1981 when Moalboal was not even on the dive maps! 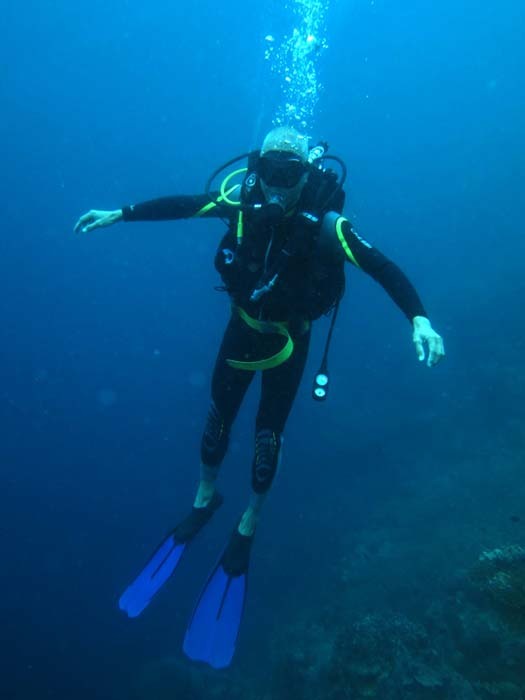 There were no local tourists then - only serious scuba divers. 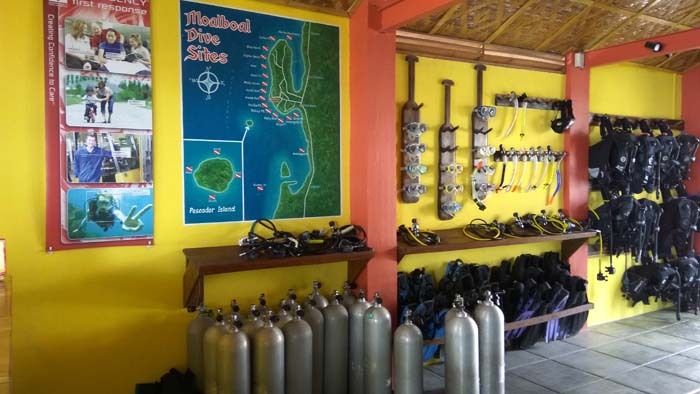 The center offers dive tours, certification and equipment sales/rental. 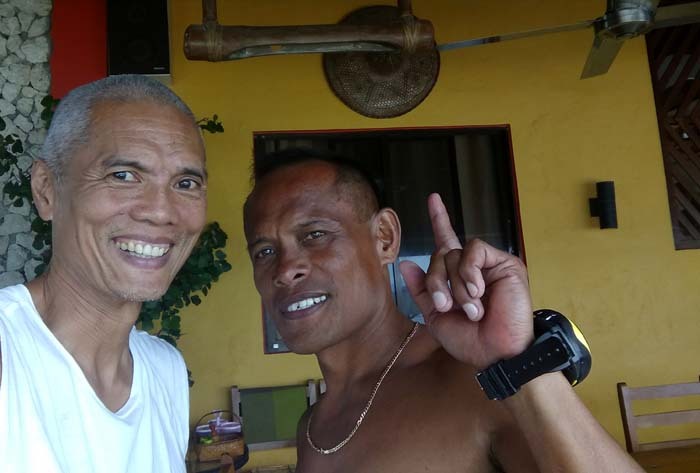 2 of their dive masters, Rudy and Ceno, have been with the resort for over 20 years - they know the dive spots like the back of their palm. Dive Instructor Kirby is helpful as she is bubbly. 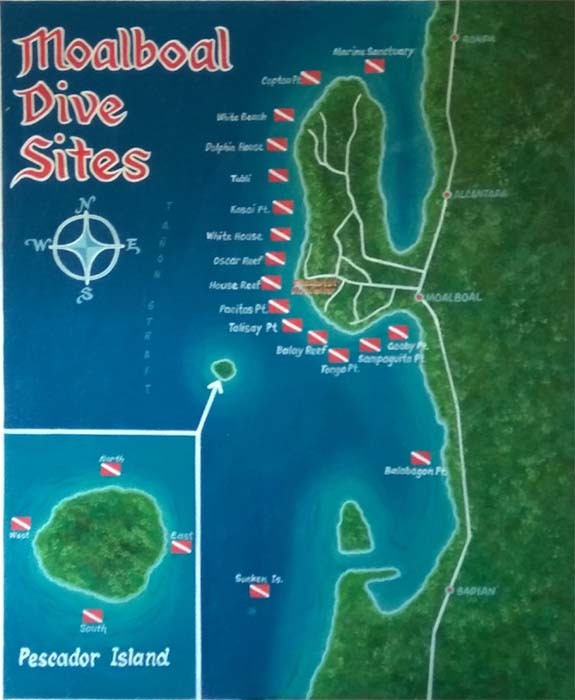 Tongo Point is a wall dive on the southern part of the Moalboal peninsula. It has a maximum depth of 55m, but we hovered on the 18m level as we flowed with the mild northbound current. 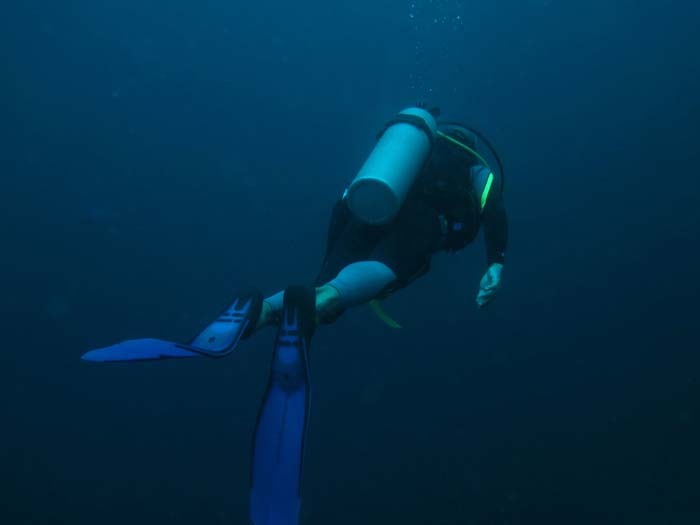 With poor visibility, I couldn't see the bottom depth - only a foreboding dark abyss. 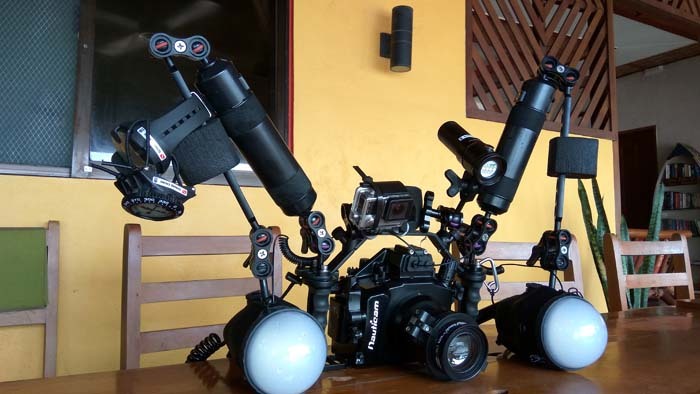 I was a few turtles, a few snakes, juvenile grouper and some macro critters. Fish life was diversified but there wasn't too much of the big stuff. There were overhanging caverns which made for an interesting drive-unders. 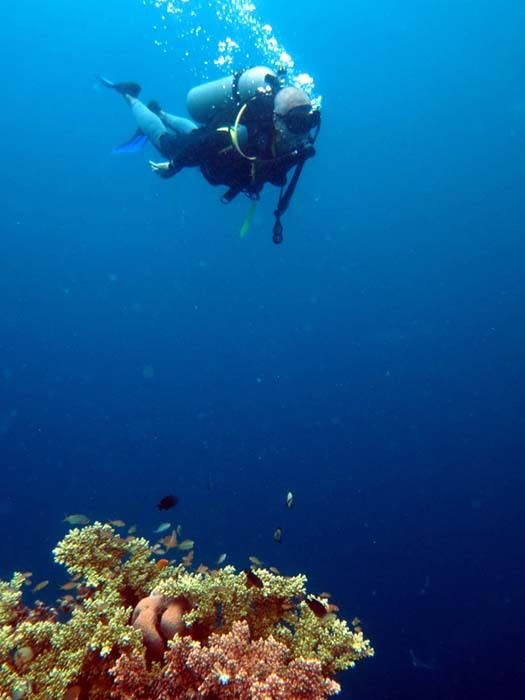 This wall dive is very similar to the ones I've seen in the Central Visayas region - Balicasag in Bohol together with Apo Island in Negros Oriental. 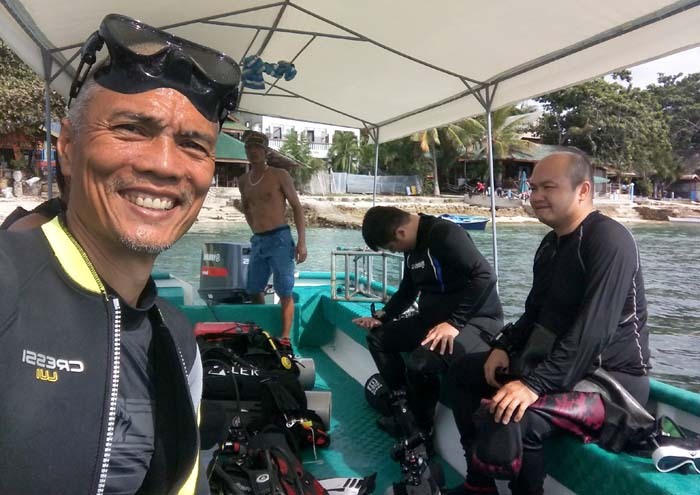 It's my first dive in Moalboal and hopefully, I get to explore more - there are a lot of dive sites here. Thank you Rudy!